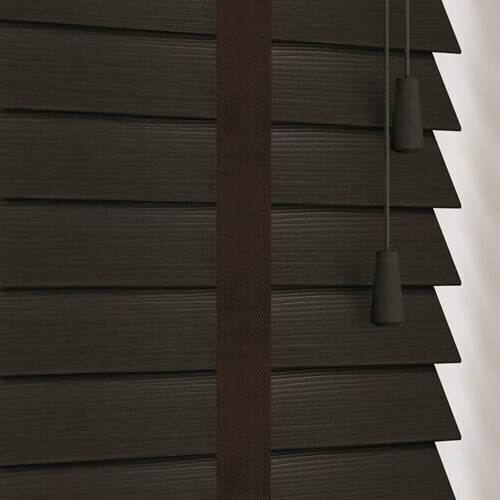 With their dark dramatic colouring and rich coffee tapes, these luxurious dark brown, almost black faux wood blinds are timeless way to dress any window. 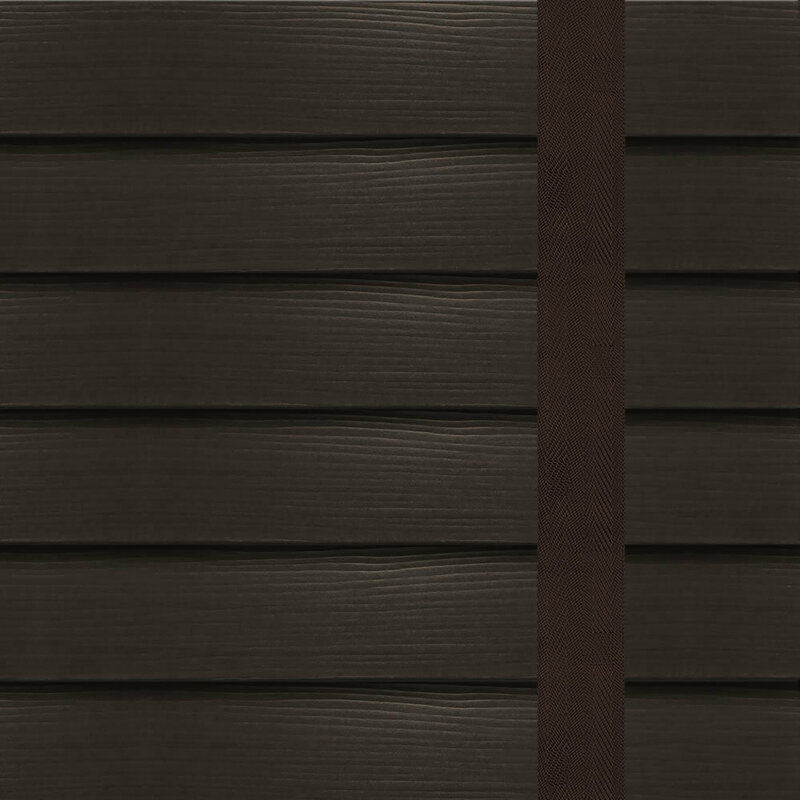 They feature a natural textured wood grain finish for that authentic look and as their slats are waterproof they are super practical too. The service and quality of goods are all excellent. Even when I put a measurement in CM instead of Inches they called to confirm the correct size! very good indeed. Blind delivered exactly within their estimated dates. 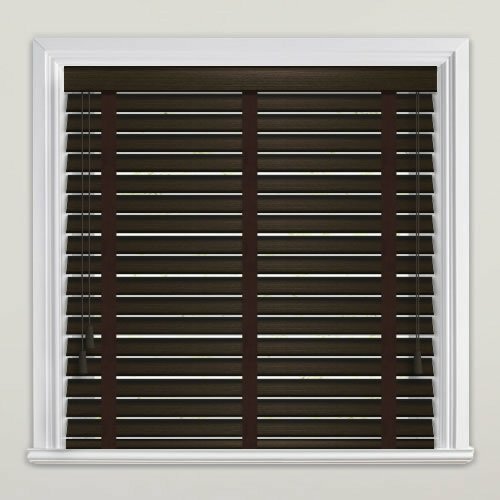 I ordered small blind to fit a tiny sash window recess and this was absolutely perfect. It totally transforms the bathroom and is waterproof as the window is sited above the bath/shower area. 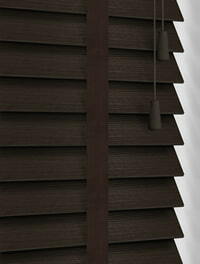 I'm so very happy with my beautiful roller blind from English Blinds. So impressed with the speed of delivery and the superb quality. 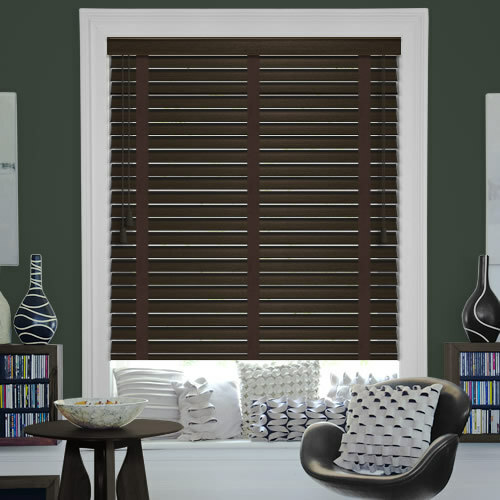 If you're looking for quality at a good price look no further than English Blinds. Highly recommend this company. Very happy with my order and it's arrived within a few days.